Networking can be a bit of a dirty word that is so often bandied around. “You have to network,” says the smarmy businessman sipping his Bulletproof coffee. We all recognise that networking is important, but sometimes can come to a bit of a loss when it comes down to doing it. I suggested flirting to network as one way to get the contacts, but the guys at BEAM came up with a very different idea. According to Kenneth Ho, the CEO and CTO of BEAM, it all started out as a hobby. Already busy with running their startup, Gaption, they realised that they needed to meet more entrepreneurs and forge more partnerships. 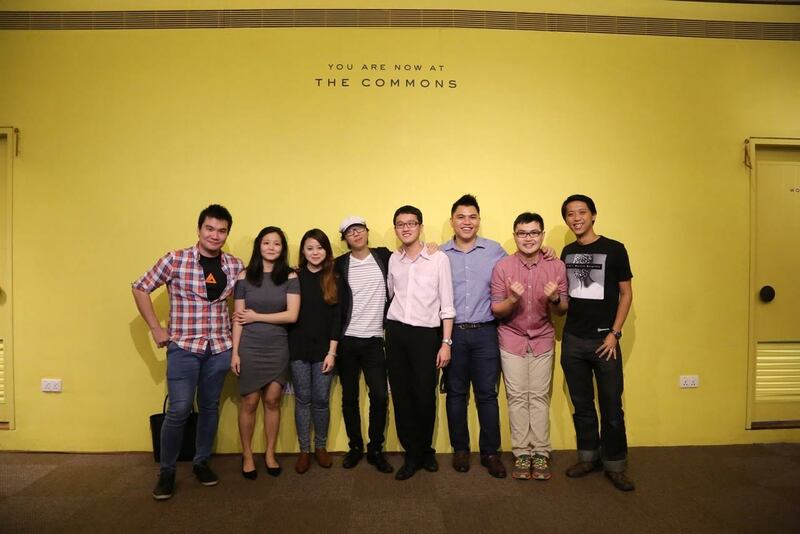 “We decided to organise an event on December 2015 to bring entrepreneurs together. Although we were only expecting 40 people to participate, more than double turned up. Due to popular response of the first event, we continued running subsequent events. 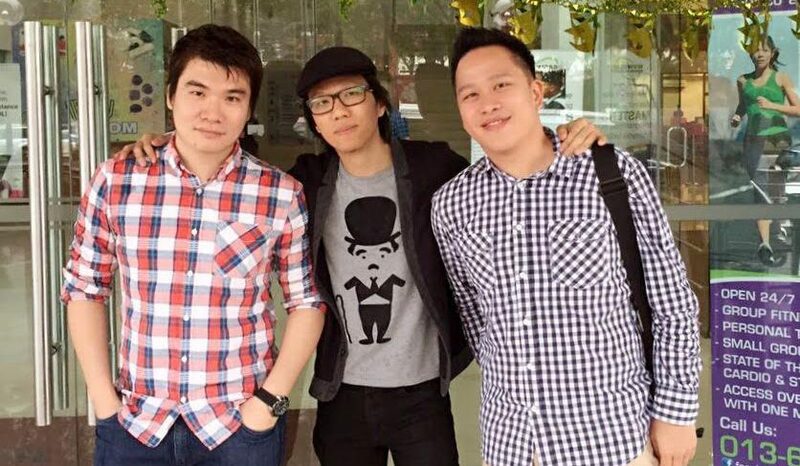 Today, we run events in 3 countries averaging around 150 – 200 people per event,” said Kenneth. The name BEAM itself reflects the idea, since it stands for Bridging Entrepreneurs and Movers. 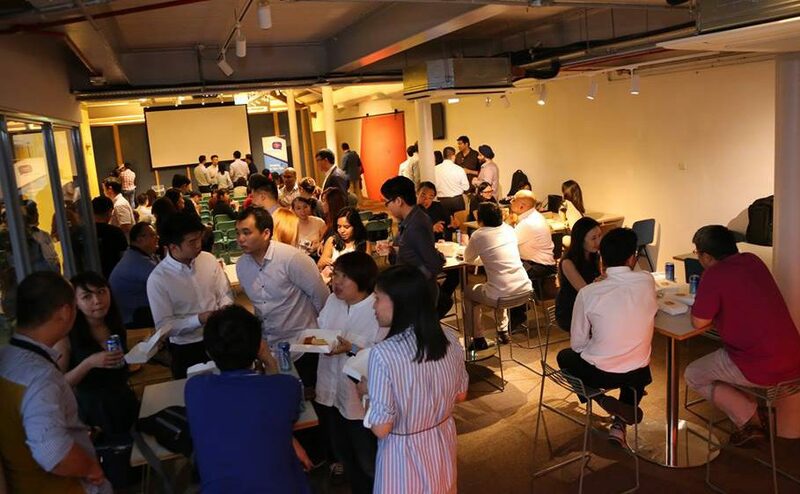 They only have three goals which are to connect and unite existing and aspiring entrepreneurs; to foster strong collaborations and partnerships among founders, stakeholders, media or PR and more; and to create a fun, inspiring and insightful environment. 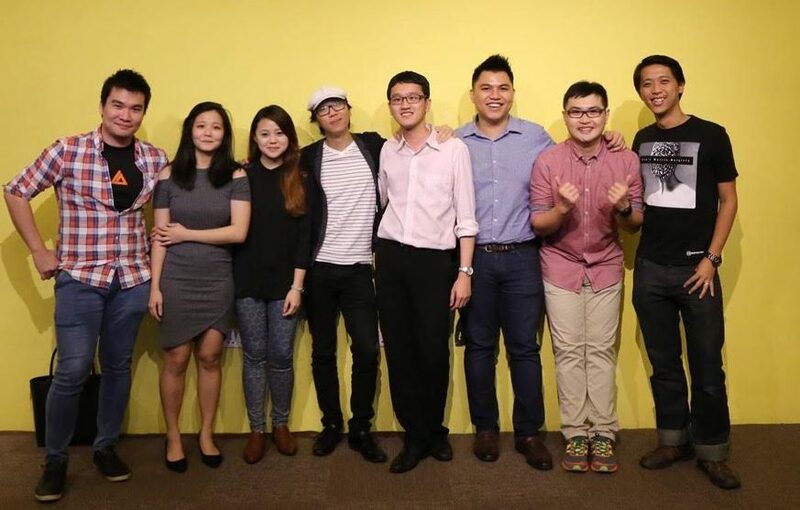 At the moment, the events run about once a month, mainly in Malaysia and Singapore. 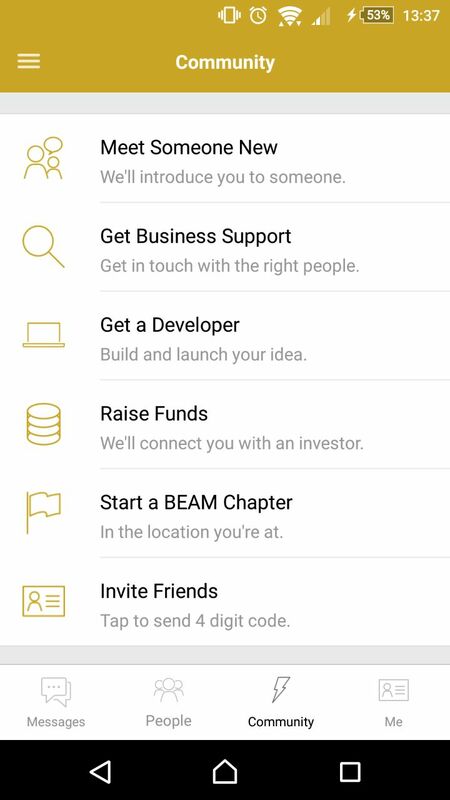 Besides organising events, BEAM launched a messaging app for both the iOS and Android platforms. Unlike many of the other messaging platforms available, BEAM Connect was made especially for networking. The app itself is quite simple to use, and the BEAM team is constantly tweaking it to improve user experience—I’ve used it for about a week and there were two updates in that time. The search function is very useful whether you’re looking for a specific person, company or just if you’re just looking for a fellow founder or someone in marketing. So far, the best or more useful feature for entrepreneurs would probably be under the community tab. 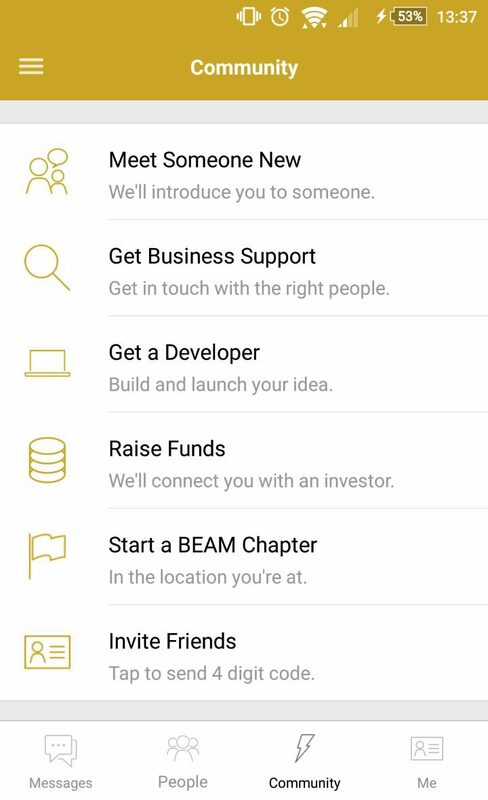 Besides being able to sign up for the regular BEAM events, there’s also the option to meet someone new, where the BEAM team will connect you with another user, possibly a founder, investor or funder. You can send them a short message detailing what you’re looking for, and the team will set up a chatroom and introduce the both of you. There’s even a specific Raise Funds option, where you will be connected to some of the investors registered with the app. Developing and maintaining an app is no small feat, and Kenneth shared with Vulcan Post why his team thought it was a strategic move. “Initially, the app was not part of the picture until we realised people needed a more effective way and safer environment to connect within the community, especially after events. The app caters O2O (offline to online) communication. It’s not only for connecting people; the app also serves as a tool to easily scan QR codes and track who you have met before without a business card and potentially warm connections can also form among the members. Since the launch of the app, they have had more than 800 signups, with most of them coming from Malaysia and Singapore. 80% of these signups are entrepreneurs and 20% are startup enablers such as investors and accelerators with names from pitchIn, Nexea Angels, Watch Tower & Friends accelerator, TinkBig Venture, Infinite Ventures, Crowdo, Cradle, FatFish, Cherubic Ventures (a US company), Puffin Builder, Ingenious Haus and more. 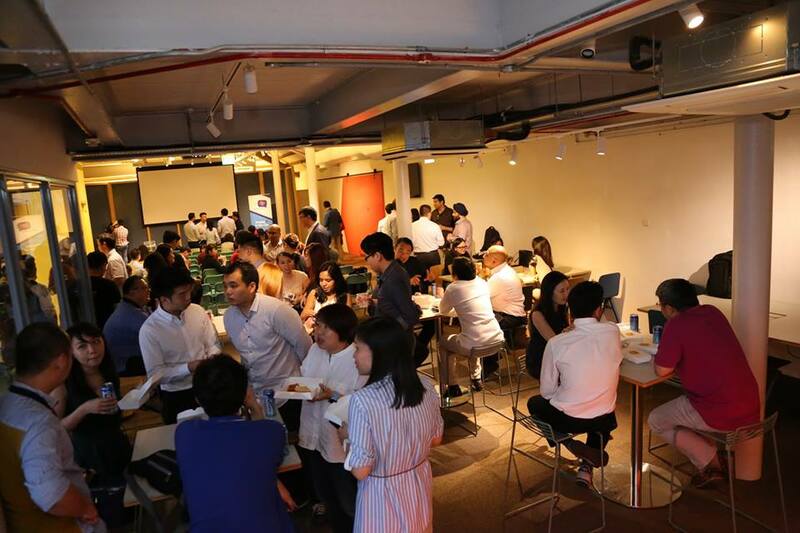 There has been a lot of interest from various investor groups and organisations and the team is considering what else they can do to enhance the platform for the use of the startup community in South East Asia.